LAS VEGAS -- Ronda Rousey’s UFC comeback didn’t even last a minute. Ronda Rousey: "I'm not this callous, hard, impervious super woman"
Ronda Rousey: "I want to build something that survives me"
Ronda Rousey: Stereotypes about women in MMA are "upside down"
Rousey hadn’t fought since November 2015, when Holm stopped her with a head kick in one of the biggest upsets in MMA history. 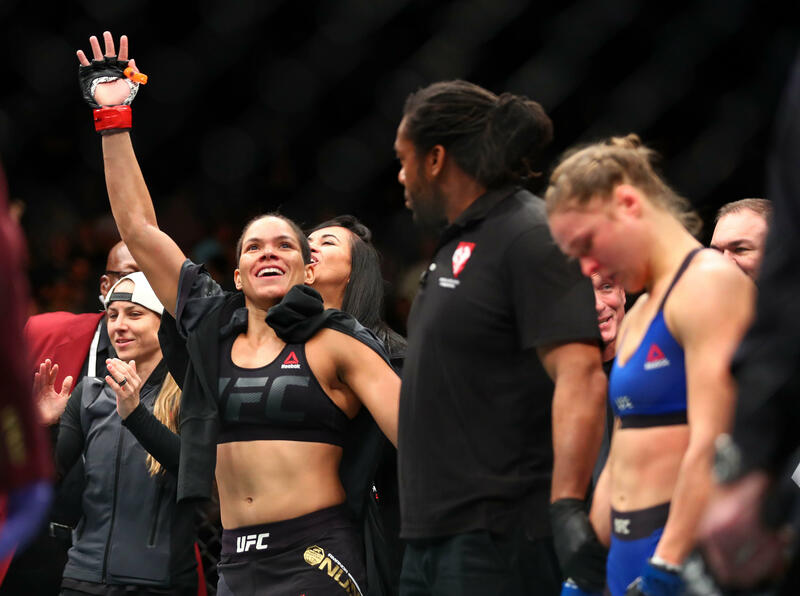 Rousey had never lost or been in much trouble while the former Olympic judo medalist earned a series of one-sided victories, but Holm’s veteran striking made Rousey look unprepared.